It looks like the new Asus Transfomer Prime tablet is going to be a popular device for Asus, it was listed for pre-order on Amazon the other day, and it looks like Amazon has now sold out of all their pre-order units in the first 24 hours. Th Transformer Prime page on Amazon has changed, you can no longer pre-order the device, instead you are asked to sign up to be notified when the Transformer Prime will become available. 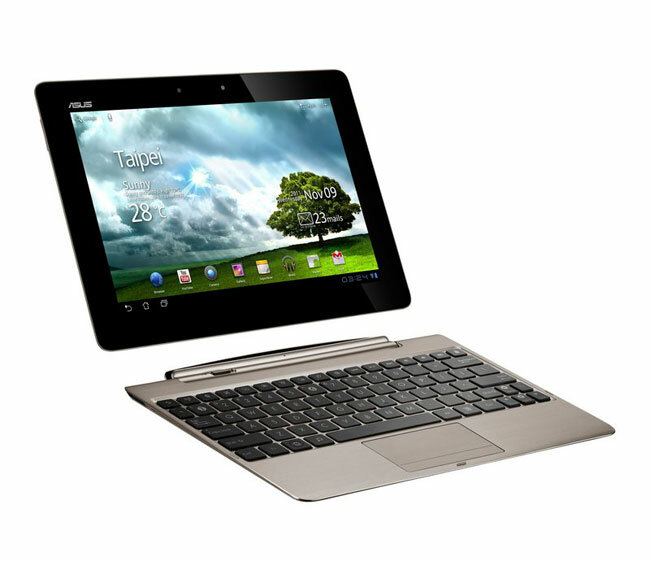 The Asus Eee Pad Transformer Prime will be one of the first Android tablets that will feature NVIDIA’s new quad core Tegra 3 processor, and i is due to go on sale next month, and comes with a range of other impressive specifications. The Transformer Prime features a 10.1 inch LED backlit Super IPS+ touchscreen display with a resolution of 1280 x 800 pixels, and will launch with Android 3.2 Honeycomb, although Asus has said that they are working on an Android 4.0 Ice Cream Sandwich update for the tablet. Other specifications include 1GB of RAM, and a choice of either 16GB or 32GB of built in storage, plus the optional keyboard dock, Bluetooth 2.1+EDR and 802.11 b/g/n WiFi, dual cameras with a 1.2 megapixel camera up front for video chat and an 8 megapixel camera on the back with a F2.4 aperture lens, auto-focus and a flash.